Its mid-August which means that the Edinburgh Fringe is in full swing, and as Edinburgh residents, we at the Money Dashboard office are taking full advantage of the entertainment on offer. So, we've put together a list of our top picks to see before it's all over. 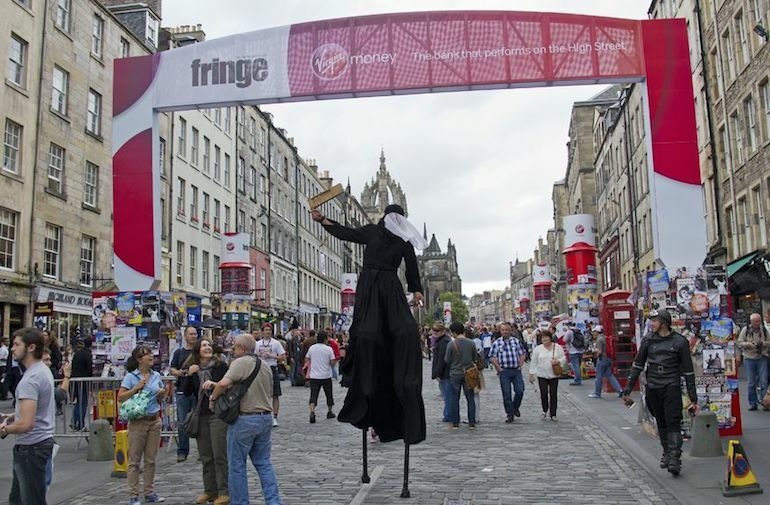 Don't forget to check out our blog on how to save at the Edinburgh fringe before buying your tickets! Jason has attended the fringe for the last 20 years, and his side-splittingly funny shows have the audience howling with laughter within the first few minutes of being on stage. In all his shows he often gets audience members up on the stage to participate. He's incredibly quick witted and his delivery is always amazing, I've been to see him 3 years in a row and always end up crying with laughter. Nina is a comedian and ventriloquist who is joined on stage by her hilariously dead-pan and sinister side-kick monkey, named Monk. The act depends largely on audience interaction and is mostly improvised. Audience members are asked to take the stage where they are fitted with a mask that covers the lower part of their face and can be manipulated by a hand help pump help by Nina to make it look like they are talking. Nina often uses this to put the audience member in awkward and funny situations, such as making them say they want to dance, while their body language suggests the opposite. "Nina is absolutely hilarious. I could go see her every night and still find it funny. It's a completely different show every night as it's completely improvised using different audience members every time. She is incredibly quick and witty and had me in stitches the whole show. Highly recommended." If magic and mind reading is more up your street, these two guys are some of the best in their field. Both will read your mind and tell you everything about yourself, with Colin taking a slightly more serious approach by trying to get away with an actual murder on stage, where as Doug will astonish you with lots of laughs along the way. You'll love this is you've ever had a boring day in the office. The guys of BLAM! take you for a ride in their imaginations, transforming a tedious work environment into a world full of superhero's and villains, full of amazing stunts and breath-taking physical feats. "The guys in BLAM! were great, they must haver been absolutely exhausted by the end. The stunts they performed just got better and better as the show went on. Extremely imaginative and fun." If you're a fan of the Pitch Perfect movies you'll love this. It's an all male a-capella group from Oxford, who sing in perfect harmony with some (often unintentional) funny moments and dad dancing.